In part one, Özlem Simsek (managing director in Belgium), Louise Campbell (managing director in Ireland), and Sinead Hourigan (Queensland director) of Robert Walters discussed how they found their calling embracing the world of recruitment and what continues to keep them excited about the industry. RIX: What leadership advice have you have received that influences your approach as a leader? Özlem Simsek: Driving for success keeps me motivated. I believe you have to have high standards in life – I don’t expect failure. It also brings satisfaction in my personal life, including caring for my two children. I think this dedication helps towards building a healthy career. 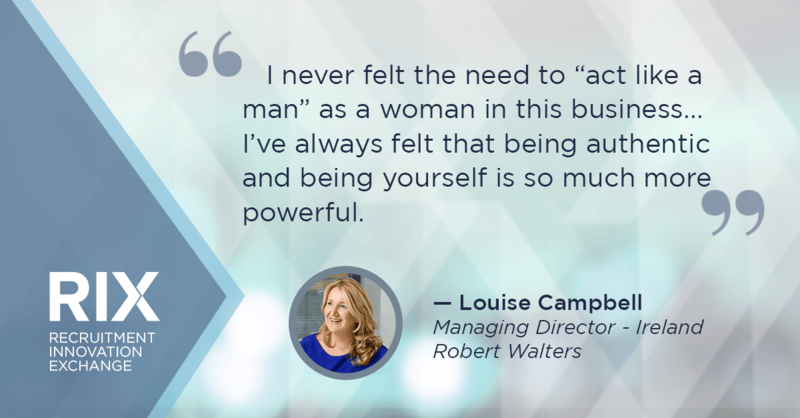 Louise Campbell: I think I have learned more from working alongside people and realising what I do not like from a management perspective, and then creating my own version of what I want to be. Working with a variety of leaders across three different countries helped me see what was important to me – including being treated with respect and working with people who care about doing a great job. I wanted to work somewhere that was ethical with high standards as I think this job can create a lot of unnecessary stress and pressure in your life if you complicate it too much. I never felt the need to “act like a man” as a woman in this business. I’m not sure if that’s politically correct, but I’ve always felt that being authentic and being yourself is so much more powerful. People notice that and I think as I evolve as a leader I see that admitting to being vulnerable can be powerful and empowering to others. I’ve always been the type of person to raise my hand to say that I need help or to partner up with others who have a complementary set of skills to mine. You’re just there to do the best you can. I’m also a firm believer of not letting work rule your life. I think you need to enjoy time outside of work – whether that be your friends, your kids, your dogs, or your yoga mat. Click the image to tweet it. 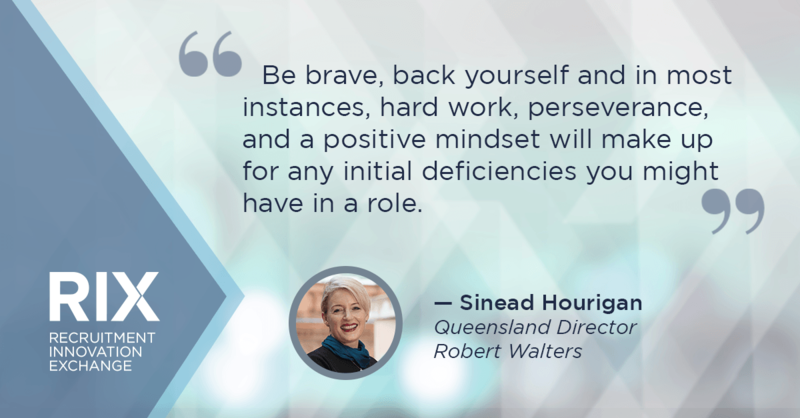 Sinead Hourigan: It’s actually quite hard to pick only one piece of advice to reflect on when I look back at my leadership journey. I have been lucky enough to have worked with some wonderful leaders and managers both in my career in recruitment and in other prior roles. I do however reflect often on a piece of advice I received from my mother many years ago. She told me that I would do better in life if I stopped judging other people by my expectations of myself and she was absolutely right! Unless you have walked in someone else’s shoes, you are not in a position to judge. It’s really important to set standards of excellence and encourage people to work towards them but avoid creating a culture where there is only one benchmark of success as that will rarely deliver the best results! RIX: Do you have any other advice for others that are looking to follow in your path? Özlem Simsek: It’s the same advice for both men and women in the industry. I believe you have to keep your standards high, invest in training and coaching. You need to be very direct – I do not like cynicism. Provide continuous feedback. I’ve seen people become successful very quickly, but I’ve also seen others that aren’t fitting in and tried to counsel them to use their strengths in a different job. I regret if I have people that leave unexpectedly. I should always know where they are – I shouldn’t be surprised by their resignation. I would be very disappointed as I would not do it the other way – I would never fire someone if they weren’t aware. It shows transparency and honesty. I don’t understand why people aren’t more open and honest, but understand some people are afraid. I don’t think it has anything to do with cultural factors, but more with personalities. You still need to communicate with tact, even if there are certain cultural elements. At the end of the day, it has to do with your personality. It’s easy to hide around the cultural aspect. Louise Campbell: I’ve worked in booming markets and a seven-year recession. I will always say to both men and women, put your heads down and just work as hard as you can. Don’t fall at the first hurdle. Unfortunately, I think younger generations sometimes give up too early when they encounter hurdles. I’ve failed more times in my career than I’d like to admit, but the important thing is to be supported by people that will help pick you up. I’ve been lucky to have a boss that has said, “It’s okay, give it a try.” Surround yourself with people that play to your strengths and don’t underestimate the power of hard work. I won’t stop until it gets done. 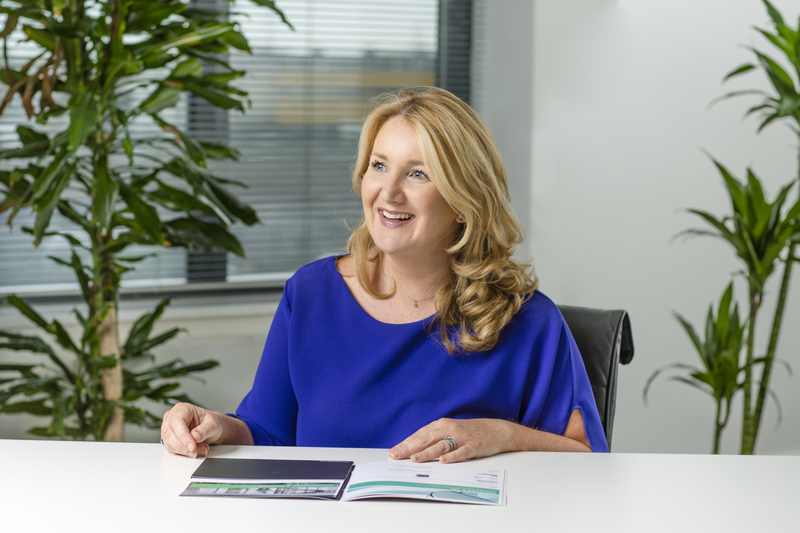 Sinead Hourigan: I am constantly grateful for the opportunities that have been presented to me throughout my career in recruitment and am equally humbled when anyone seeks advice on their own leadership journey. If I was to say anything to aspiring female leaders it would be to put your hand up often when opportunities appear in your path. There is much research to suggest that men are much more likely than women to apply for roles that they are not yet fully capable of and we have a tendency to wait until we can do absolutely everything detailed in a role description before giving it consideration. Be brave, back yourself and in most instances, hard work, perseverance, and a positive mindset will make up for any initial deficiencies you might have in a role. I would also say that there is no doubt that having a family and a career is definitely not easy, but it is achievable, and you just have to accept that perfection may not be possible every day and that’s just fine! RIX: How have mentors and/or sponsors helped you in your career? What is key to a great mentoring relationship on both the mentor and mentee side of the equation? Özlem Simsek: There is a theory of mentorship and then there is a practice. I believe more in coaching and what’s happening every day. For managers that I work with that need help every day, and others that are just going without any insight or help. The key is to make sure to understand what makes that person tick and how that person operates to maximise their strengths. I’m not focused on mentoring as a concept, but your approach to leadership is very hands-on and available so that the person is naturally being mentored. This translates to having a very loyal and dedicated team and I’m blessed to have this self-organising team. Especially in our business, there is a lot of movement after a year in a sales role, but after two years they always stay. Louise Campbell: I’ve never had an official mentor. But what I say to people here is that you need to go out and spend time with people who challenge and inspire you. If you’re talking with someone and think you can learn something from them – ask them for a cup of coffee. I think you can learn from anyone – whether that be a male or a female. Although I’ve never had a formal mentoring relationship, I think that subconsciously from a young age, I built a network around me which I can glean value from and hopefully they can gain value from me, too. I think mentoring can be great, but it’s not something I have formally sought out for. 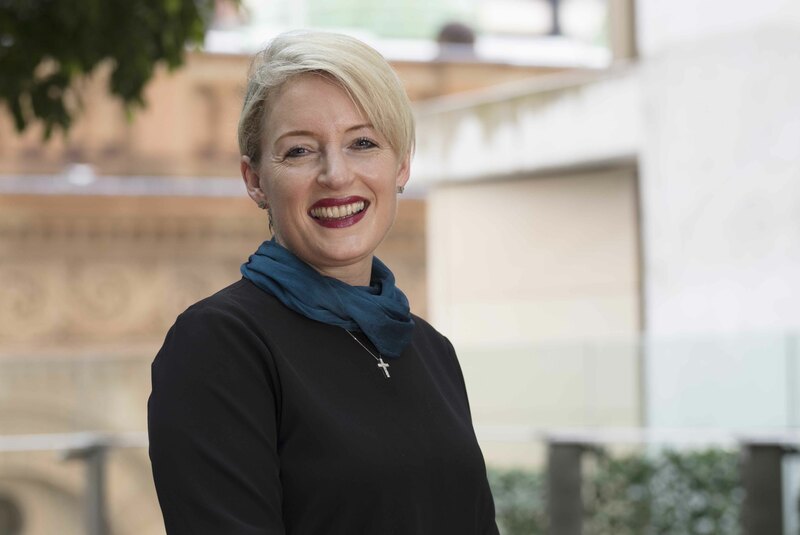 Sinead Hourigan: I have been blessed with the opportunity to connect and work with a range of people throughout my career that I would view as mentors and sponsors in a range of untraditional facets. Some of my best advocates have been my own management team who have pushed me to achieve things that I didn’t think I could do. I have also had the benefit of dealing with some incredible clients and candidates who I built professional relationships with that allowed me to have frank and forthright conversations with them about my own failures and have counselled me in many ways to improve various elements of my professional life. I have never had a traditional mentor in my career, but I count many in this role. I have been a mentor for a wide range of people over the years and what I have learned more than anything is to listen deeply and understand what people are trying to achieve and always remember that what might work for me may not be the best solution for them. Listening actively is a much under-valued skill in an age where there is so much noise and people are not always looking for you to solve their problems but just need an ear so that they can figure out the solution for themselves!